Now a permanent fixture on the cycling calendar the Banks’s Round the Wrekin Sportive is perfect for cycling enthusiasts of all abilities. With 3 different routes to choose from the Sportive is suitable for everyone from first timers looking to take on their debut cycling challenge to seasoned sportive pros. New for 2019 is the ‘FunCycle Ride’, which will be approximately 10 miles and mainly off road. This slightly undulating route will take you in a North Westerly direction via Bobbington, Claverley, Hopstone, Wyken and Worfield at the 10 mile point. The undulations will start to increase heading North towards Ackleton, then through Kinglow and Pattingham. Heading South East for the final miles, of which the last two are predominantly downhill towards Seisdon, Swindon and returning to Kingswinford. You’ll follow the Hugh Porter Challenge route until Worfield, when you will head South through Bridgnorth and Upton Cressett. The undulations start to increase at the 20 mile point, heading towards Acton Burnell at the 30 mile point. After heading towards Cressage, it will be downhill for the next 5 miles until the inclines increase again as you head North towards Uppington. From there, the route heads towards the Wrekin, which is just after the 40 mile point. The last 15 miles of slightly undulated land will take you through Ironbridge, Coalport, Burnhill Green, Pattingham, Seisdon and Swindon before your destination at Kingswinford. You’ll following the Compton Care Classic route until the 20 miles point, when undulation will start to increase heading through Wall under Heywood towards Church Stretton. You will encounter some serious hills from this point, travelling up The Burway, through Bridges and towards The Stiperstones. The route heads North and downhill to the 50 mile point at Snailbeach. Continuing to Minsterley, the route heads towards Dorrington, encountering more undulations on the way. The route then becomes less testing, continuing through Acton Burnell and Cressage. The incline will increase again after Cressage, as you travel towards Uppington and then South Easterly towards the Wrekin, which is almost at the 80 mile point. The last 20 miles are slightly undulating and the route passes through Ironbridge, Coalport, Burnhill Green, Pattingham, Seisdon, Swindon and your return to Kingswinford. The event village will be open from 7am – 6pm. Online entries for this event are open until 11.59pm on Monday 13th May. You’ll still be able to enter over the phone or in person for an additional charge of £5 per entry until 5pm on Friday 17th May, subject to available places. As well as proving cyclists with an extraordinary Sportive experience the core aim of the Banks’s Round the Wrekin Sportive is to raise much needed funds to support the work of Compton Care in providing extraordinary care and support for people living with complex and incurable conditions. Since being established in 2016 the Sportive has helped to raise over £80.000 ensuring that hundreds of people are given the care, support and encouragement they need in order to live their best life possible. All participants are encouraged to raise sponsorship, any amount you are able to contribute will make a real difference. The Compton Care team are on hand to support you with your fundraising efforts and can provide you with advice, guidance and various fundraising materials should you need them. 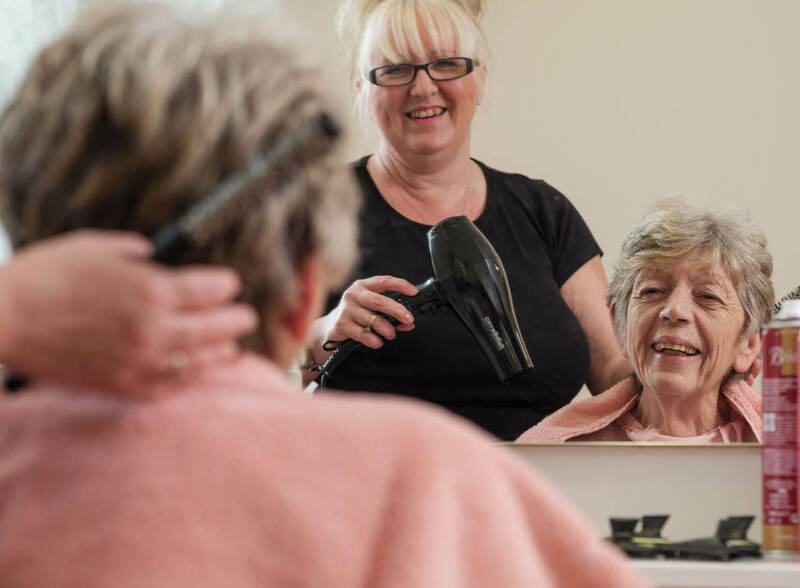 £206.60 would cover the cost of a visit by a Compton nurse to a patient in their own home, ensuring they are able to stay in comfortable and familiar surroundings whilst receiving care. Banks’s Hamper Prize worth in excess of £100 for the most sponsorship raised on each route, plus a Compton Care cycle jersey. Riders raising over £200 in sponsorship will receive a free Compton Care jersey, however, if you’d like to purchase one before the event, you can get one here. *Please note, all times are subject to change and will be confirmed once registration for the event closes. Coming to Compton has brought me back to life. I'm back to being Lynda again! RT @matthewlhunter: 7 DAYS TO GO! This time next flippin’ week! million every year to provide our services to patients free of charge. Compton have been there for us as a family, as well as for mum. Other events you may be interested in.